In our quest to design the most engaging experiences, we sometimes forget that not everyone is exactly like us. Living as I do in my high-speed digital bubble, I actively remind myself at the start of every project during business requirements gathering and user research that as designers, it behooves us to understand the needs of our audience. 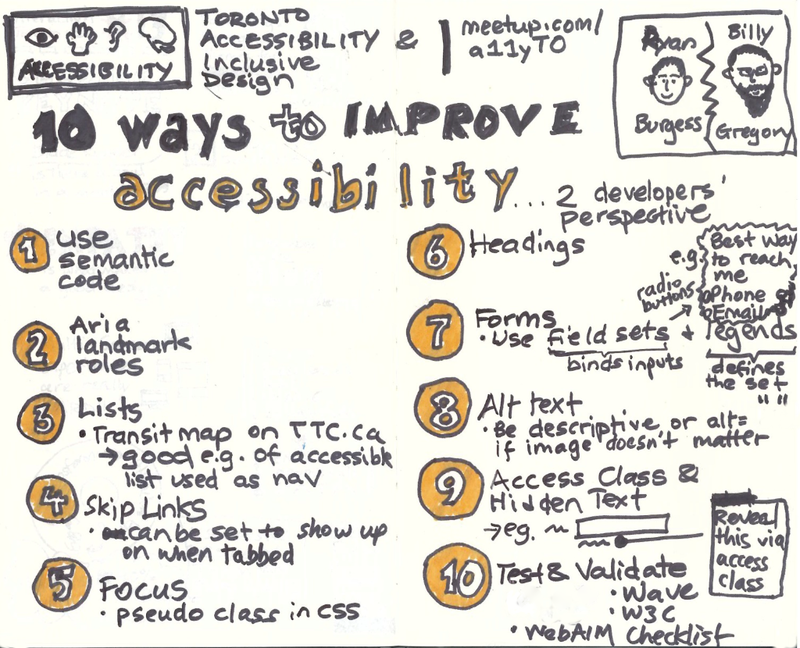 It’s not our clients’ responsibility to include accessibility in their project briefs; it’s our duty to understand whether the target audience and users of what we’re designing have any needs that may affect our design decisions. These needs don’t even need to concern screen readers or other adaptive or assistance technology. I like to use myself as an example. 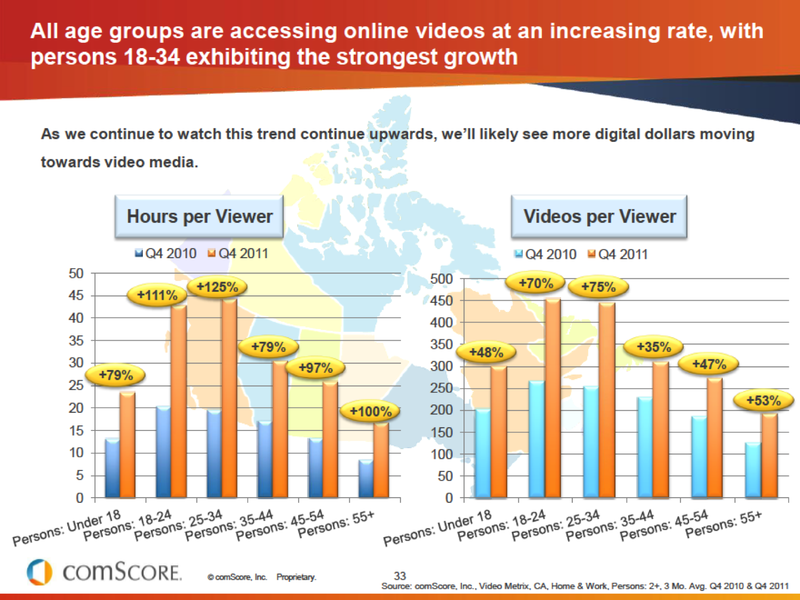 Video content is all the rage; the data tells us that Canadians watch a lot of videos, according to comScore’s most recent research data. All this data notwithstanding, there are a lot of busy people out there. And people like me, who are not only busy, but also impatient. I do a lot of research, and I’m always on a tight deadline. This means that I don’t have the time to watch a video. I can get at the information much faster by scanning a transcript than sitting through a 3-minute video. If you offer me a transcript that I can scan, I’ll be more likely to save your video to view later when I have time and share it. So, when you make video content accessible by providing a transcript, you’re reaching not only those who have hearing or visual impairment, you’ll also be reaching someone like me who is impatient. Last night, the studio where I work, Devlin Digital, hosted the Accessibility and Inclusive Design meetup group. With Ryan Burgess (@coveredfilth) and ex-Devlinite Billy Gregory (@thebillygregory) leading, we had a lively discussion about the 10 ways we can make websites more accessible from a code perspective. None of those 10 ways cramp my design style; in fact, they make me think and work harder to create better designs. Designs that ensure that all of my clients’ customers can access the content that my clients have invested valuable dollars in creating.